Recently a lot of readers have been asking me about a housewife’s schedule. I have to confess I have never been a fan of scheduling anything except appointments, preferring to do thing around the house as and when I feel they need them. However, as someone who is a bit overwhelmed by her home at the moment I really can see the benefits of a schedule, provided it works as a tool and you do not become a slave to it. So I have decided to explore the idea of scheduling over the next few weeks to see if it works and if so, what the best way to organise a housewife’s schedule might be in this 21st century. Having said that, I have always maintained my purpose is more to encourage and inspire housewives as opposed to instructing them how to do things around the house. However, hopefully I will be able to do some research and a bit of experimentation without departing from that premise. I’m intrigued as to what the results will be! To start, I think one definitely has to be flexible. I’m not sure that the centuries old idea of “washing on Monday, ironing on Tuesday” would necessarily work in the 21st Century. We all have varying responsibilities and commitments, and these often change with very short notice, particularly for those of us who have children. Not to mention the fact that even if I spent all day Monday washing I would need to run the washing machine more than just once per week! I am very keen on scheduling things in terms of appointments though and if you can schedule important things well in advance it can be a real boon. For example, all of our hair appointments are scheduled up to December of this year already, as are most of our other important personal care appointments. Obviously, in the first instance you will need some sort of calendar. I use iCal on my MacBook computer, and also on my iPhone, but you could use whatever suits you. You may like a traditional diary or you might even want to use one of those big wall calendars, although I have to admit I find them quite frustrating as I hate crossing things out if they change. At least with a computer you can change things without people realising! I also think the advantage to a calendar on computer that synchronises with another portable device is that your schedule is always with you, and in this day and age that is a very good thing indeed. I think the next step would be to make a list of what you do around and outside of the home and to ensure your calendar is up to date with your own commitments and also those of your family - particularly those you need to be involved in in some way. For example if your husband is going on a business trip, you may need to pack for him. (I still do that, although I know many housewives do not. My husband prefers it and I really do not mind.) If your child is going on a school trip, you may need to drive them to the bus or pack for them, or perhaps if it is a day trip you may be going along as a volunteer chaperone. So for me as a start I need to factor in my personal training, Pilates and yoga appointments as well as scheduling in family visits to the gym. I also need to allow plenty of time for writing. And of course there are our social commitments and travel. 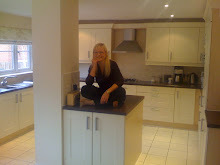 From there I will have to start to think about what I do around the house and garden and work things out from there, not forgetting to schedule in things like dealing with financial matters - which I have always generally just slotted in as and when they were needed. Of course, there are some things that just can’t be scheduled, like watching the stock market, but I’ll have to see how that goes. I’ll try to mention how things are going in each blog entry and perhaps after a couple of weeks I might be able to work out some suggested guidelines for those of you who would like to run your homes to a schedule. I have my doubts that I will actually be able to stick to one, but watch this space!